Was that title clickbait? 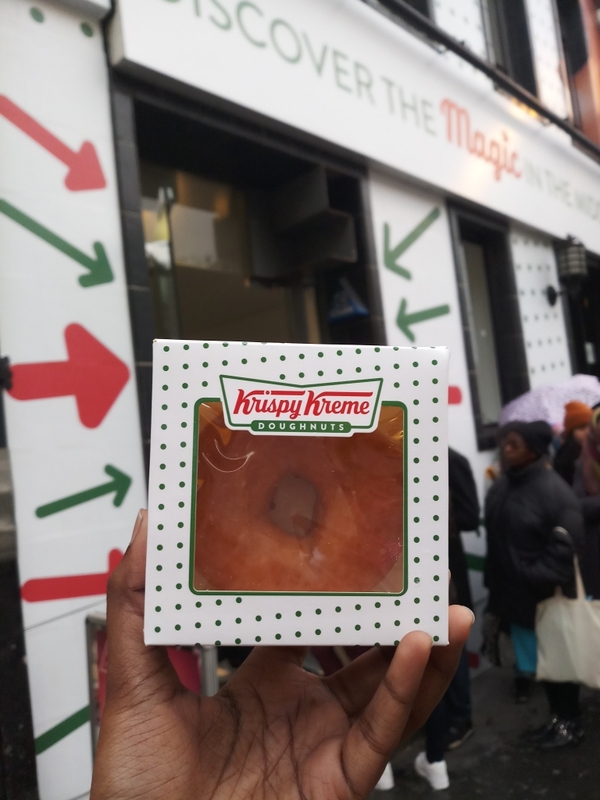 Yes, I believe so, but read on to hear about Krispy Kreme’s fun pop-up at Leicester Square. London always has some interesting event going on. 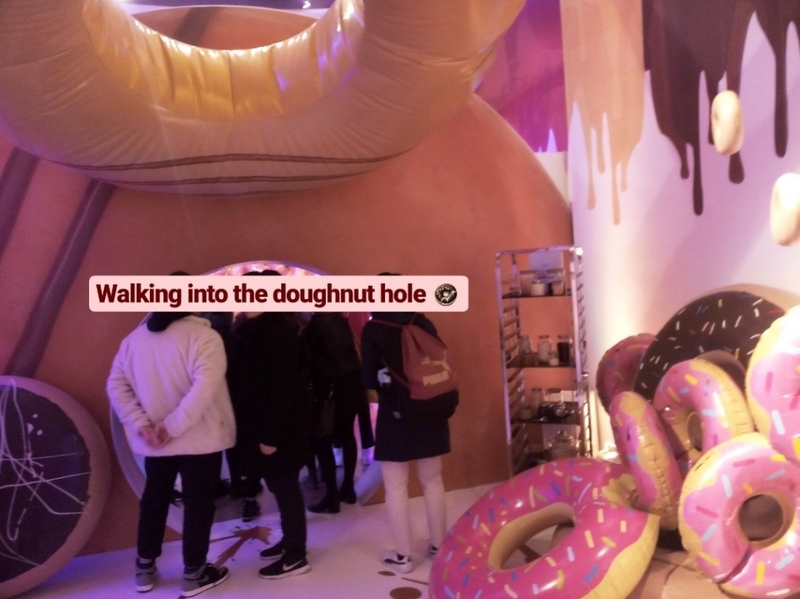 Being one who enjoys these quirky events, I tend to keep an eye out for such events and a recent one was the Krispy Kreme pop-up. 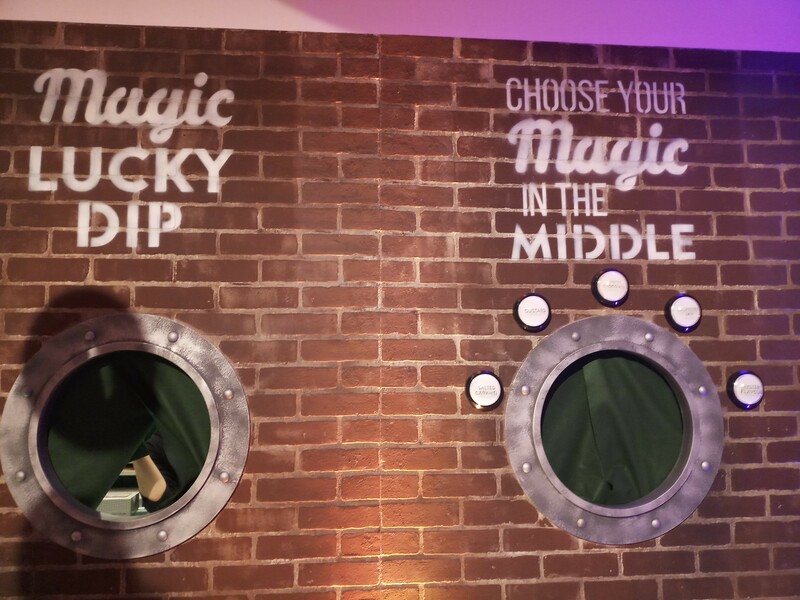 On Friday, the 8th of March, we decided to check out the new pop-up, called Magic in the Middle. So, we made our way to Leicester Square and surprise, surprise! There was a line with a waiting time of about an hour. We decided to stand in line for about 15 minutes and then leave. Luckily, 20 minutes later we were allowed inside. 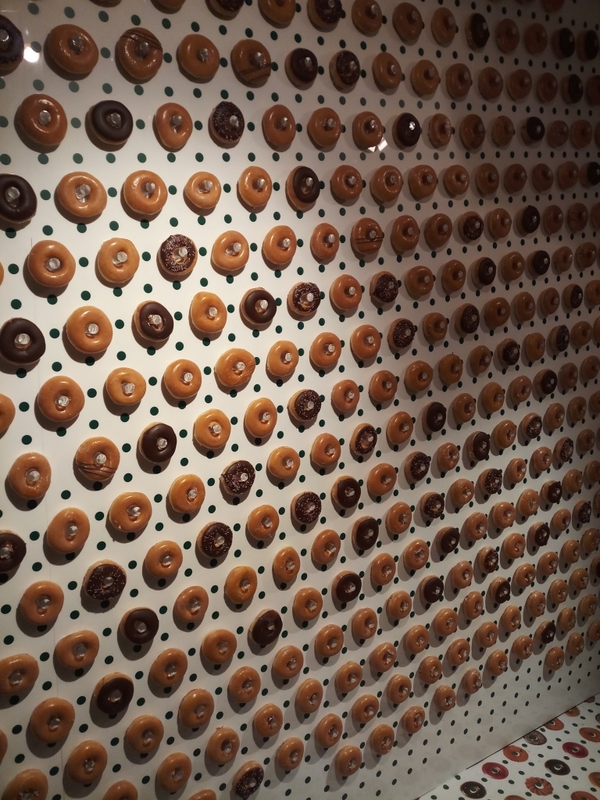 The first was a display of doughnuts (real ones, not props) on the wall. It was a classic ‘Instagram’ spot. The event holders were conducting a fun game, asking each of us to guess the number of doughnuts for a special prize. My guess: 387, actual number: 389. So close! Following this, we were taken on a short tour about the company’s journey since its beginning, in 1933. 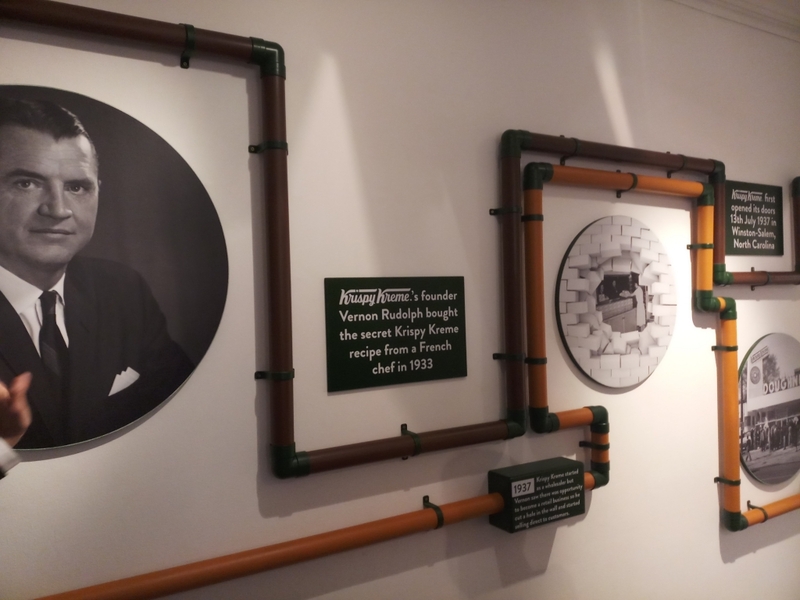 Vernon Rudolph, the founder of the company, bought the recipe for the doughnut from a French chef and established the company as a wholesaler. He then decided to shift to retail in North Carolina and made a ‘hole in the wall’ to signify this. They sold doughnuts through the hole (doughnuts have a hole, they sold through the hole. Get it? Did I just ruin the joke by explaining it? Oh well!). Fast forward a couple of years, and the first store in the UK was opened at Harrods in 2003. Since then, it has been a sweet journey. However, throughout the years, the original glazed has remained the most famous and most bought doughnut. Looking to the future, they are considering a new type of Original Glazed that is filled and this ENTIRE pop-up was dedicated to advertising that! After the history lesson, it was time for a snack break! Off we went to the tasting table where there were different types of fillings to taste. From Raspberry to Vanilla to Peanut Butter to Custard; it was a list of things that were yum, yumm and yummm! Finally, what kind of an event would it be if it didn’t have picture spots? 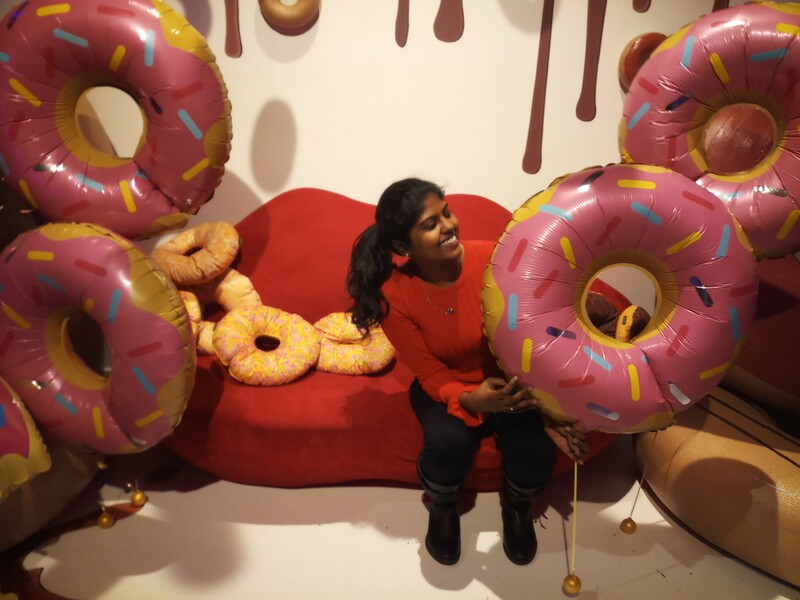 So, we stuck around for a while, surrounded by the smell of sugary delight, and we captured some pictures with the cute doughnut balloons. With our free snacks, we walked out of the doughnut paradise and into the rainy London weather but the burst of colour and sugar that we had just experienced helped in making the grey sky seem a little less dull.